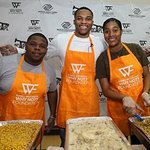 Continuing his tradition of spending the holiday season giving back, Russell Westbrook and his Russell Westbrook Why Not? Foundation hosted a party with JMA Energy Company for homeless children living at City Rescue Mission. 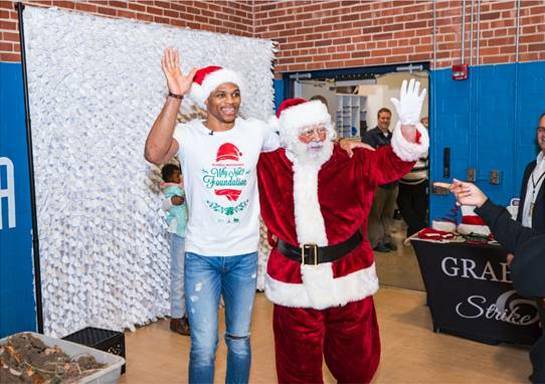 Over 60 homeless children were treated to shoes, t-shirts and backpacks from Brand Jordan, food, crafts, cookie decorating, a bounce house and a surprise visit from Russell and Santa. This is the 5th year that the Russell Westbrook Why Not? 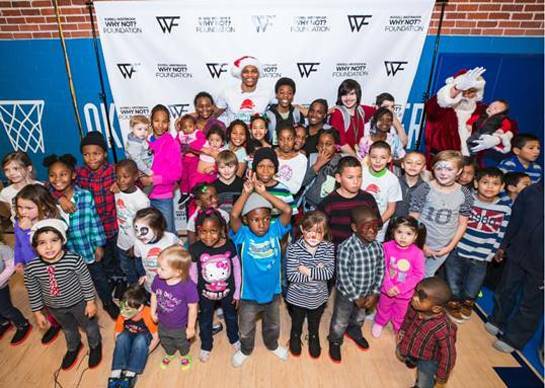 Foundation has hosted a holiday party for Oklahoma City children in need. JMA Energy Company and its employees have volunteered with City Rescue Mission for 11 years and have hosted the holiday party for the past 6 years. JMA’s employees and management are committed to helping less fortunate families and children, like those at The City Rescue Mission and throughout the community by giving their time and financial support to provide them a better quality of life. JMA feels it is a privilege and responsibility to help.